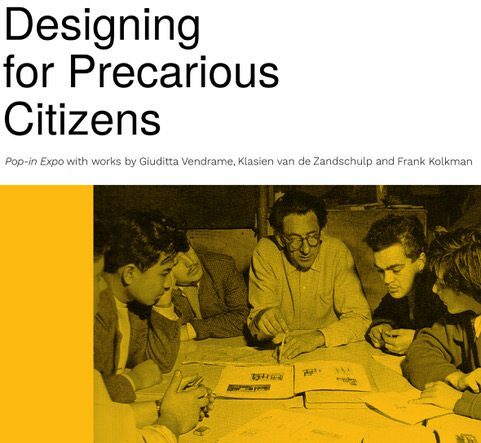 Designing for Precarious Citizens is a research-by-design project by Artez Future Makers, the centre of expertise for interdisciplinary design based research. Starting point of this project is the work of Dutch architect Johan Niegeman, one of the few Dutch teachers at Bauhaus who, together with Mart Stam, designed and build several social housing projects in the Soviet Union. Niegeman attempted to design a better quality of housing for the masses, specifically groups that lived in poor conditions, in particular working class citi-zens. Apart from dedicating himself to designing for these ‘precarious’ citizens, Niegeman was convinced that design should always be achieved with the best techniques available. These techniques should always be deployed to design for vulnerable groups, for the most precarious in society. In the Designing for Precarious Citizens-project three contemporary designers took upon the challenge to translate Niegeman’s ideas to today’s society. Artist Giuditta Vendrame, interaction designer Klasien van de Zandschulp and speculative designer Frank Kolkman all developed an installation aimed at three completely different precarious groups. All three designers took completely different approaches. Kolkman researched the consequences of the platform economy for social housing tenants. Van de Zandschulp considered people at home, specially in the kitchen, as a growing precarious group as a consequence of the growing automatization of the home. And lastly, Vendrame looked at the precariousness of people residing on water as an unstable ground for living conditions in relation to citizenship. All three designers relate to the theme in completely different ways, showcasing the complexity of precariousness in today’s society. 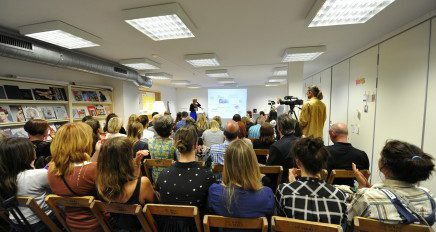 The project originated with the involvement of Artez Future Makers in the context of 100 years of Bauhaus. Professor Jeroen van den Eijnde wrote an article for the publication accompanying the exhibition in the Museum Boijmans van Beuningen. In his article “Bauhaus, Binnenhuis and (outside) space” Van den Eijnde describes the influence of the architect, designer and Bauhaus teacher Johan Niegeman on Dutch art education, in particular in the field of interior architecture.